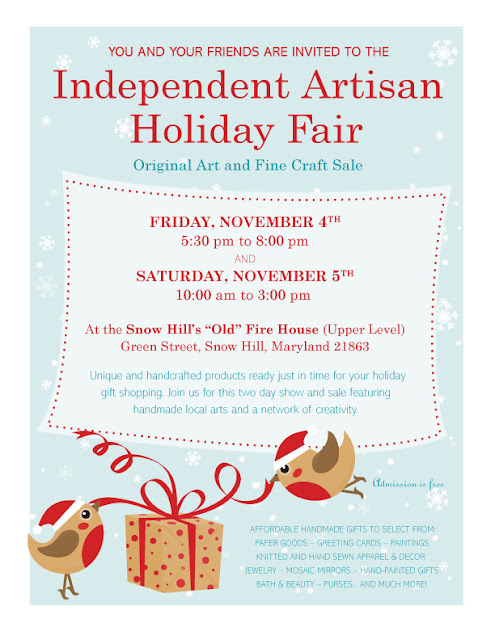 providing a festive atmosphere for the Independent Artisan Holiday Fair. with the variety of wares. 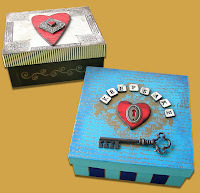 Miracle Boxes to keep the spirit alive. Bath and Beauty products to help with the holiday stress. And to wrap it all up -- one-of-a kind gift bags! A big thank you to all of the vendors. And another big thank you to all who shopped the fair. Saturday's Polymer Clay Techniques led by Dee was an intensive and informative class that introduced participants to the endless possibilities of working with this medium. The use of push molds, texture, layering, mica powder and antiquing with paint was fully explored. Final embellishments included gems and touches of Lumiere metallic paint that gave each piece that "bling factor". Students left with six beautiful tags that could be used as ornaments or gifts. This class was the perfect introduction to polymer clay in preparation for a future class called Mosaic Mirrors, where students will make their own clay titles and adhere them to a mirror frame. 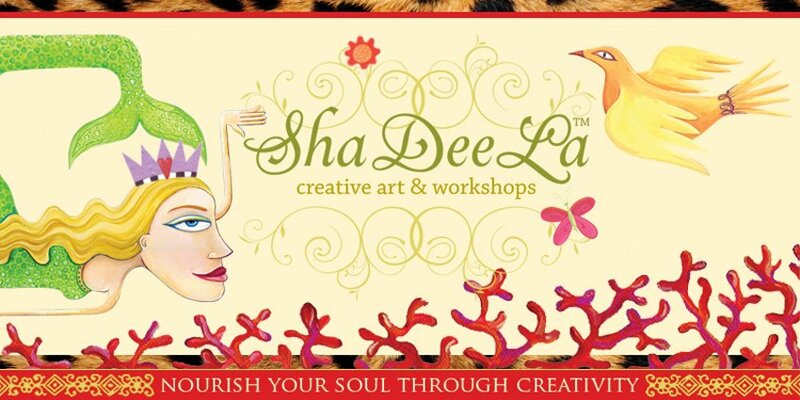 Friday night's Adorn Thyself class at Bishop's Stock was a wonderful gathering of creative freinds. Everyone came prepared with their bead collection along with twenty more beads to add to the "bead swap". The first demonstration was how to make a sliding slip knot necklace using a focal point bead. Next, we made "stretchy" bracelets adding charms and ribbons. 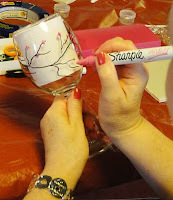 This class was a relaxing way to socialize and share ideas while making beautiful and unique adornments. 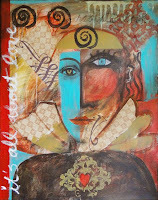 Saturday's Mixed Media Painting Discovery Workshop hosted by The Queen's Ink in Savage Mill, Maryland, proved to be yet another fabulous journey into self-expression and TRUST! Sharon set the tone initially by having everyone take a few mediative moments to let go of all their hassles and worries. She asked everyone to create the mindset that this class would be about tru sting their intuition. Students were put to the test immediately as they quickly and decisively selected their paint palette consisting of three colors. It was apparent from the start that this group of women were willing to put their fears and self-doubt (about painting) aside and let their inner wisdom shine through. As each one of the 12 steps was revealed, the paintings began to take on a life of their own reflecting personal affirmations and colorful expression. Although this class was designed for artists with little or no painting experience, it was surely a testament that we all have the creative force within us that is just waiting to be released. And release it - they did! Everyone left with a "ready to hang" canvas while knowing confidently in their hearts that we are all "Queen of the Arts". A little snow and ice couldn't freeze the creativity at the Ocean City Art League. their canvases come alive with layers of color and personal messages. The end result? 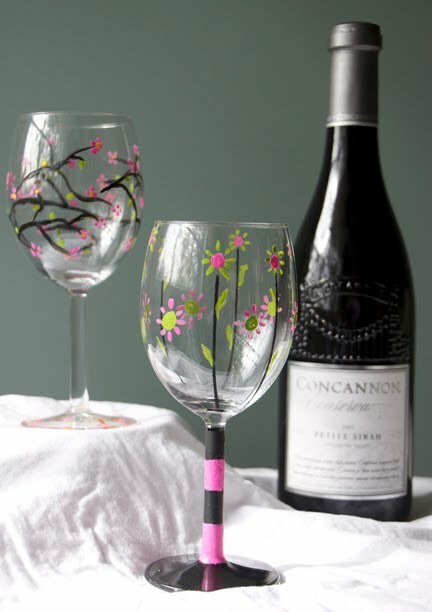 One-of-a-kind pieces of art that will serve as inspiration and a sweet reminder of a fun day! winner of the ShaDeeLa "Embrace Your Art" Basket and envy of all! 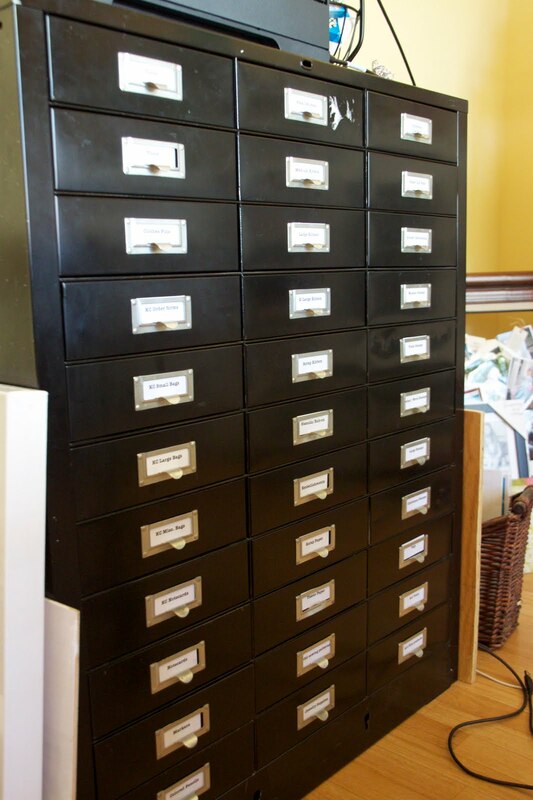 Saturday's workshop focused on making personal boxes for all those special treasures. These special tokens, combined with painting, decoupage and embossing turned a simple kraft box into a beautiful box with heartfelt memories...inside and out. ShaDeeLa Artist's and Bishop's Stock Gallery was the perfect combination for creating handmade Valentine Cards. paired with watercolors, color pencils, glitter and glue. End result? Happy smiles and one-of-a-kind cards. Check out other photos on Facebook!